Hello! 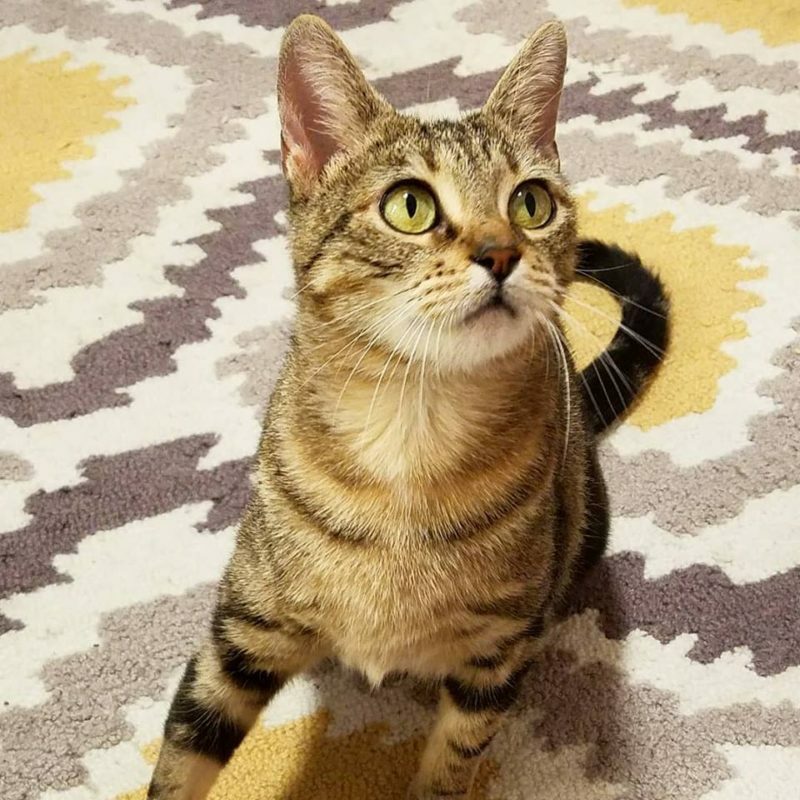 My name is Trinity, I am a super-friendly 2 year old brown tabby. I am an absolute cuddle-bug, and enjoy nothing better than flopping down on a warm lap! I play it off like it’s no big deal but I secretly love physical contact with my humans. I am super quick to warm up to new people (especially if they give me wet food – yum!) and my top priority is getting love and attention. I get a little overwhelmed at adoption events so I’m usually overlooked but am a gem of a cat once I get comfortable in the home setting. While I love my humans, I’m not a big fan of other cats, since I like keeping all the attention for myself. I would make a wonderful starter cat for someone looking to adopt a single kitty! I’d be happy to hang out with you and let you rub my soft, short coat. Let’s chill out together! Trinity is our Featured Feline and will go home with a small gift package full of kitty goodies! You can meet Trinity and our other cats at one of our local adoption events. These cats and kittens are NOT available for adoption through our Barn Cat Program. They have been worked with by our wonderful foster volunteers and are ready for their fur-ever homes. They are looking for indoor only homes. All of our kittens are up-to-date on vaccines, FeLV tested, microchipped, and spayed/neutered. Please note that ages are approximate.